AisaFENIX is optimized for the most demanding defense, law enforcement, and environmental applications. In a single continuous image, AisaFENIX delivers the best hyperspectral data ever seen over VNIR, NIR, and SWIR wavelengths. Its rugged, compact design is ideal for turret and UAV installations. AisaFENIX is the most versatile HSI unit for field, airborne and ground vehicle use. It delivers unprecedented performance over the entire visible, NIR, and SWIR spectral ranges. AisaFENIX is designed for simplicity, reliability and performance in field usage. 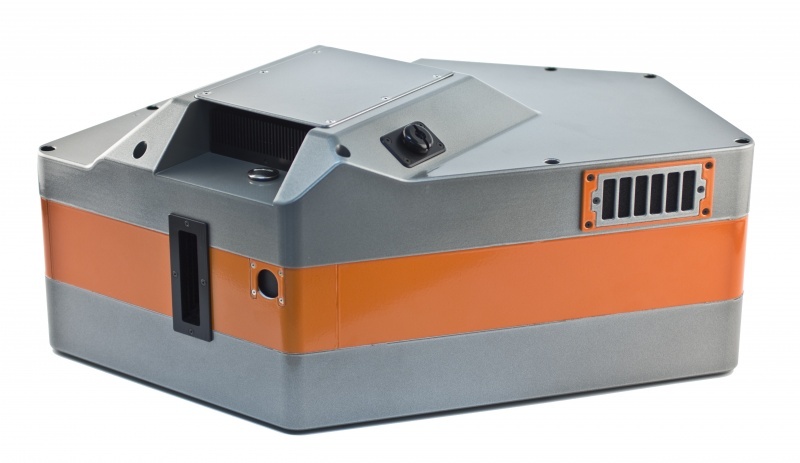 Patent pending imaging spectrograph, optimized mechanical structure, and passive temperature compensation make the instrument one of the most stable hyperspectral imagers. Spectrograph High efficiency transmissive imaging spectrograph. Throughput practically independent of polarization. Smile and keystone < 0.2 pixels. High efficiency transmissive imaging spectrograph. Throughput practically independent of polarization. Smile and keystone < 0.2 pixels. Calibration Sensor provided with wavelength and radiometric calibration file. Sensor provided with wavelength and radiometric calibration file. Operating modes Hyperspectral and multispectral. The operator can create application specific band configurations and quickly change from one mode or configuration to others in flight operation. Hyperspectral and multispectral. The operator can create application specific band configurations and quickly change from one mode or configuration to others in flight operation.